Understanding spinal kinematics is essential, not only for the comprehension and diagnosis of spinal diseases, but also for improving modern tools and software. The sheer volume and complexity of now available information can be overwhelming. 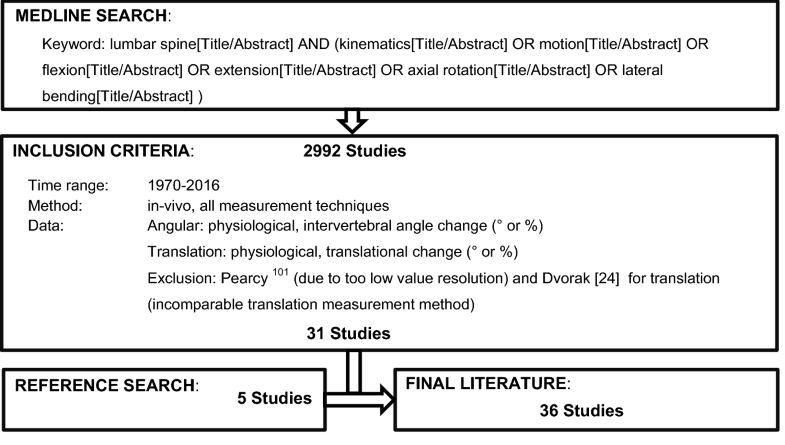 We aimed to distil it into a form that facilitates comparison among diverse studies addressing spinal kinematics under healthy and degenerative conditions. 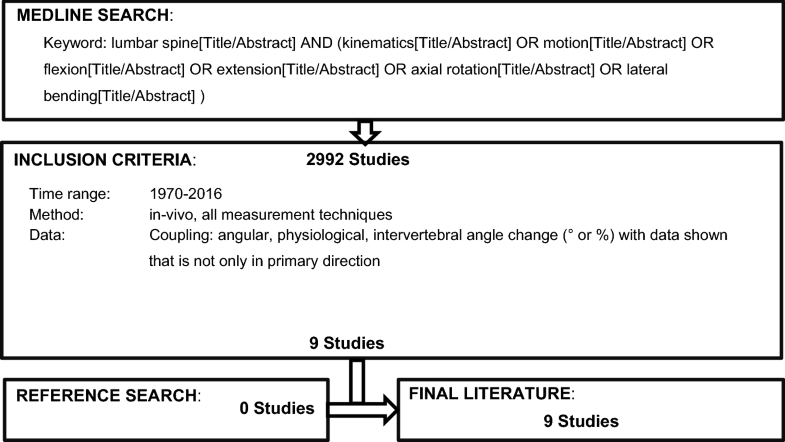 We specifically aimed to define a baseline definition of the spectrum of normal spinal kinematics that in turn allows a comparable definition of kinematics of the degenerative lumbar spine. The considered data was obtained by a systematic MEDLINE search including studies on angular/translational segmental motion contribution, range of motion, coupling and center of rotation. As for degenerative conditions, we collected publications on disc degeneration, facet joint osteoarthritis, facet joint tropism, spondylolisthesis, ligament degeneration and paraspinal muscle degeneration. While we could demonstrate repeating motion patterns for some topics, agreement in other fields is limited due to methodological variances and small sample sizes, particularly in publications with highly accurate but complex techniques. Besides, the high frequency of concurrent degenerative processes complicates the association between diseases and subsequent kinematical changes. Despite several substantial gaps, we stand at the precipice of technological breakthroughs that can power future large-scale studies. The authors gratefully acknowledge Maria-Rosa Fasser’s contribution in editorial assistance. See Fig. 12 and Table 1. Search strategy for studies on segmental motion contribution. Results of the search for literature on segmental motion contribution. See Fig. 13 and Table 2. Search strategy for studies on maximal range of motion. Results of the search for literature on maximal range of motion. See Fig. 14 and Table 3. Search strategy for studies on coupled motion. Results of the search for literature on coupled motion. See Fig. 15 and Table 4. Search strategy for studies on the center of rotation. Results of the search for literature on the center of rotation. See Fig. 16 and Table 5. Search strategy for studies on phase lag. Results of the search for literature on phase lag. See Fig. 17 and Table 6. 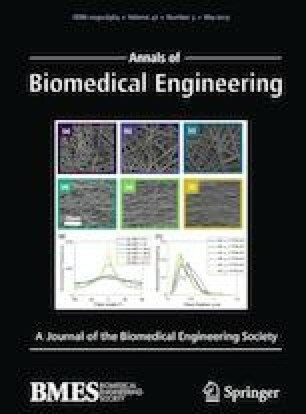 Search strategy for studies on disc degeneration and mechanical stiffness of the tissue. Results of the search for literature on disc degeneration and mechanical stiffness of the tissue. See Fig. 18 and Tables 7 and 8. Search strategy for studies on spinal ROM and disc degeneration. Results of the search for literature on spinal ROM and disc degeneration. Dotted lines → neutral zone?). See Fig. 19 and Table 9. Search strategy for studies on spinal ROM and facet joint osteoarthrosis. Results of the search for literature on spinal ROM and facet joint osteoarthrosis. See Fig. 20 and Table 10. Search strategy for studies on spinal ROM and facet joint tropism. 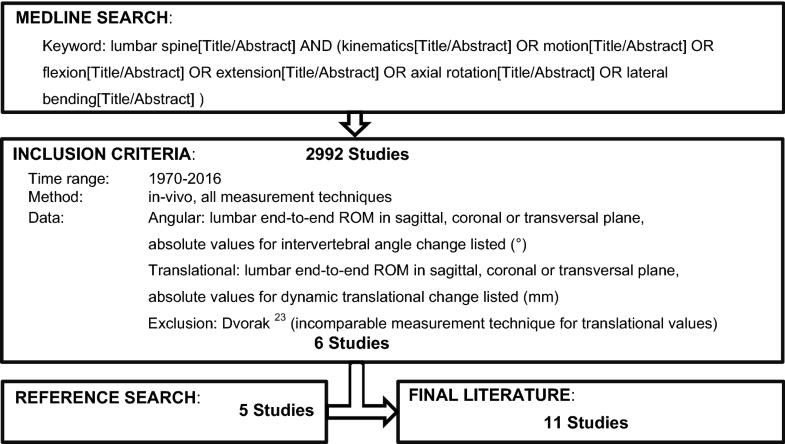 Results of the search for literature on spinal ROM and facet joint tropism. See Fig. 21 and Table 11. Search strategy for studies on spinal ROM and spondylolisthesis. Results of the search for literature on spinal ROM and spondylolisthesis. See Fig. 22 and Table 12. Search strategy for studies on spinal ROM and ligament degeneration. Results of the search for literature on spinal ROM and ligament degeneration. See Fig. 23 and Table 13. Search strategy for studies on spinal ROM and paraspinal muscle degeneration. Results of the search for literature on spinal ROM and paraspinal muscle degeneration. Muriuki, M. G., R. M. Havey, L. I. Voronov, G. Carandang, M. R. Zindrick, M. A. Lorenz, L. Lomasney, and A. G. Patwardhan. Effects of motion segment level, Pfirrmann intervertebral disc degeneration grade and gender on lumbar spine kinematics. 1–10, 2016. https://doi.org/10.1002/jor.23232. Rolander, S. D. Motion of the lumbar spine with special reference to the stabilizing effect of posterior fusion: an experimental study on autopsy specimens. 1966. https://doi.org/10.3109/ort.1966.37.suppl-90.01.